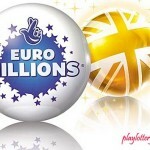 With the jackpot standing at 123Million on Tuesday night Euromillions ticket holders were all hoping to hit the Jackpot. Unfortunately none of the players was able to match the winning numbers. This means that this week’s Friday night draw which will be the first in August will have a £138 Million jackpot up for grabs. 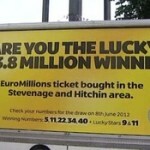 But all was not lost on Tuesday night as over 3.35 million ticket holders all went home with a prize of some sort. 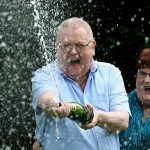 Six ticket holders took home second tier prizes of £281,708 each after matching five winning numbers and one lucky star. 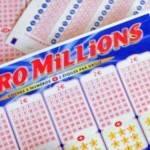 This means that this Friday nights draw will be bigger than ever with players hoping to hit that jackpot. The biggest winner though is 13 year old Kieran whose leg was amputated in 2010. Former lottery winners Colin and Chris Weir who won one of the highest jackpots last year of £161 million donated money for Kieran to get a new prosthetic leg. This was after Kieran’s friends’ grandmother who lives close to the Weirs asked them if they could help. Kieran’s parents had launched a fundraising initiative to buy him a new lighter leg after he stumbled and fell while carrying the Olympic Flame. Their donation means that Kieran will get his new leg within six weeks. Now his parents have announced that they will give the proceeds from the fundraising to the Toma Fund. This fund also helps support teenagers who have cancer. 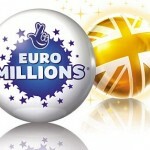 Get your tickets early to take part in Friday night’s Euromillions draw and stand a chance to win £138 Million jackpot.